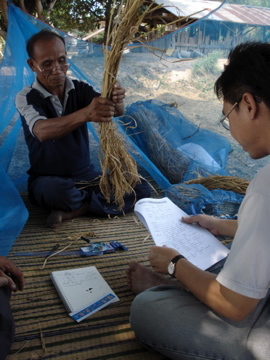 Indigenous rice seed research is a year-long process: from germination to harvest, documentation to report-writing, our farmer-researchers are developing their own approaches to preserving and expanding the indigenous seed base in communities throughout our network. Researchers from the Sustainable Agriculture Foundation in Bangkok spent the day recently with the Kamet Seed Research Volunteer Group in Yasothon province to help collect a round of data from the group’s research paddy. 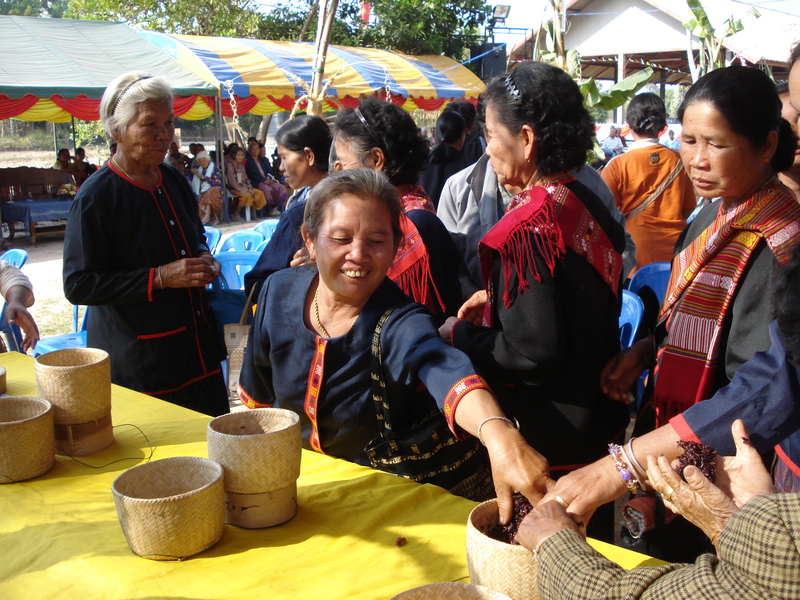 On the first Saturday in February, AAN Yasothon helped host Ban Non Yang’s 3rd Month Merit-Making Festival. The festival celebrates the start of a new season, a time when people will work through the hot weather to do maintenance on their homes and other community development projects. The celebration is also about community welfare, as villagers donate sacks of rice to a community stock, which families can access if they are in need of rice later on during the year. 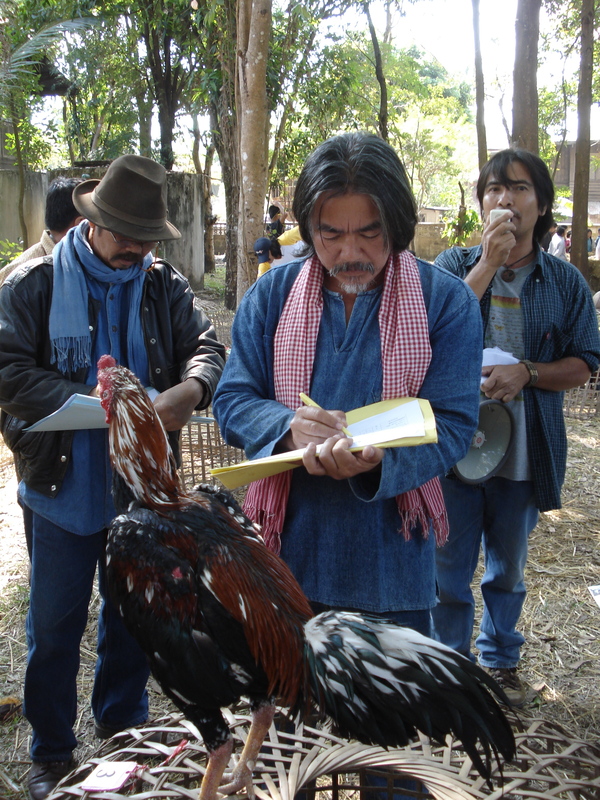 Like last year, the AAN seized the opportunity to campaign about local foods and indigenous rice varieties. Seventy-seven percent of rice production in Thailand is rain-fed. AAN farmers and staff from throughout Esan and northern Thailand came together on December 1st to exchange about their seed research experiences and findings over the past year with the Ubon Rachatani Rice Seed Research Center. 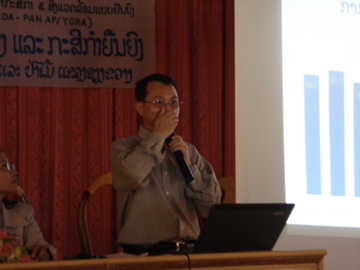 First we got an update from Joko in Nan province, where farmers are improving seeds independently. Over two thousand farmers are growing these seeds all over northern Thailand. More remote places have been able to preserve seeds and these communities tend to be local ethnic groups. Northern Thailand has preserved many field rice varieties are suitable to the hillsides, but many paddy rice varieties have disappeared from the fields. But surrounding Chiang Mai, sixty percent of rice is Gor Kor 6. Indigenous seed preservation and expansion is an essential part of AAN farmers’ sustainable agriculture practices. 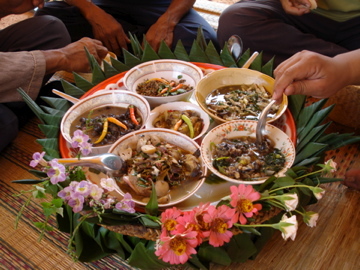 Local varieties have a role not only in farm biodiversity, but in community culture and traditions. A number of varieties have also been found to have unique health benefits and medicinal properties. These are good enough reasons to plant them, but unfortunately most conventional farmers no longer do: many are in debt and need to continue planting jasmine rice for the mills or lenders they are indebted to (and often need to purchase back low grade rice, after selling their entire crop), others may grow only enough to feed their household and grow cash crops on the remainder of their land, and finally, some farmers are simply not interested in these “low-yielding” or “stiff and un-fragrant” seeds. The first two cases are examples of the pressures of a market-export-oriented agricultural system. The last case represents a change in farmers’ mentality and culture about agriculture – there is a dearth of knowledge about these seeds and their characteristics, fear of low-yields and a high value placed on Jasmine 105 rice. How do we get more farmers to plant indigenous rice varieties? This question underlies an important part of our network’s movement for rice seed restoration, preservation and expansion. Farmers’ groups throughout Esan are working together during this rainy season to plant research and demonstration paddies for at least 140 varieties of sticky and non-glutinous rice. As our collective seed bank expands, the goal to invite more farmers to plant these seeds becomes a reality. There are still limitations on many varieties, but a number of seeds that were once commonly planted, or bear significance to local culture are now available for expansion. On August 11, the Yasothon rice seed research team gathered to discuss the previous years’ progress, in terms of seed preservation and educational campaigns in local communities. Sitting together at our network’s center in Ban Kud Hin, Kudchum district, farmers exchanged their experiences and planned next steps with P’ Thoy – AAN regional coordinator based in Mahasarakm province and P’ Sit, a masters’ degree student at Chiang Mai University, carrying out research in support of the network. I was only able to attend the afternoon session, which was highly productive nonetheless.